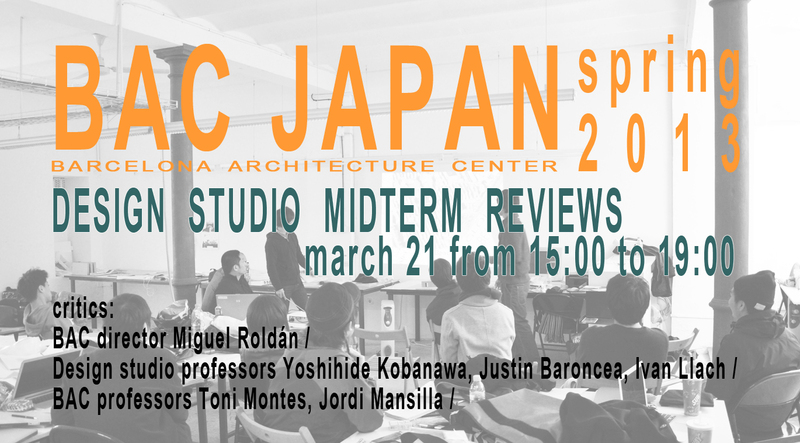 Our Spring 2013 Japanese students have visited professional studio of the Roldán+Berengué, arqts where Miguel Roldán explained them few R+B arqts built projects and in phase of construction. They have received a lecture tour of the rehabilitation project of the principal level of the typical Eixample building to the R+B arqts office and apartment where later on students had small pica pica party get together on the terrace of the interior patio of Eixample block. Seated underneath the spiraling plaster ceiling of Antoni Gaudí´s Casa Milà, the Clemson students enjoyed a meal with an array of Barcelona´s cultural and academic professionals. It was the perfect way to wrap up a great semester and celebrate not only 100 years of the Clemson University School of Architecture, but also, 13 years of collaboration between Clemson and the Barcelona Architecture Center. 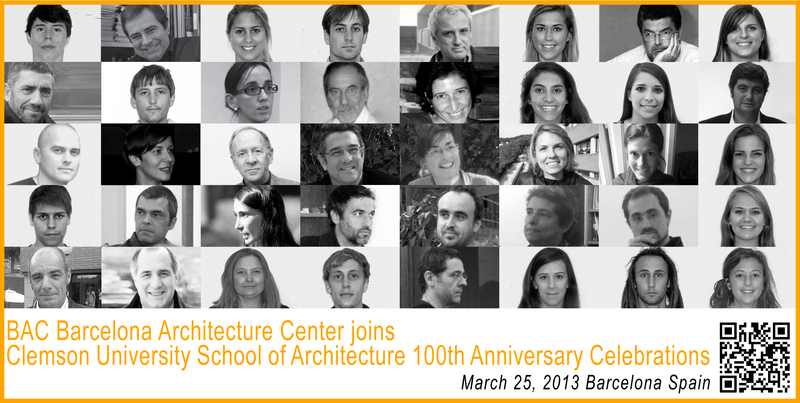 To commemorate this special anniversary, the Clemson Barcelona Architecture Program will have a videoconference connecting all of the Clemson Campuses at 5:00pm at the BAC. The event will be streamed live on Clemson University website. Yesterday, Wednesday March 20, our Clemson University students with prof Ivan Blasi have visited Plaza Europa in the District VII (Granvia L’H) part of L’Hospitalet’s , Barcelona recent urban development with master plan and landscape designed by Albert Viaplana. Europa Square besides its density has distinguishable skyline from the rest of Barcelona city made up of high-rises, among the tallest structures in the city, some of which are designed by the renowned architect Toyo Ito, Jean Nouvel, Raffael Moneo etc. Students had pleasure to visit newly opened Renaissance Barcelona Fira by Jean Nouvel and Ribas & Ribas Arquitectos and Andriana Ribas one of the architects in charge of the project and its construction explained to them details of the hotel vertical gardens and the curios vegetation drawing façade. Later on they’ve visited Social Housing tower by Roldán + Berengué arqts and walked to the convention center, Fira pavilions and the hotel Fira by Toyo Ito. Past weekend our Spring 2013 students from Japanese Universities during their first out of Barcelona field trip to Igualada, Vic and Ripoll. Students have visited Igualada Cementery by Enric Miralles, later on the route in the historic part of the ancient Catalan city of Vic where they have visited Barroque Trinitary Church restored and transformed by Roldán+Berengué,arqts and Atlàntida Theatre by Josep Llinàs. The trip in the afternoon went on visiting the City of Ripoll next to the Pyrenees and the Open air theater la Lira by RCR Architects. Their day have finished going in Camp Nou stadium and to have the unique experience seeing Barca playing and winning the game 4:0.